I wish to help inform residents and readers as to what can be and what can not be recycled in the respective household bins in Solihull. I feel that some residents are still unsure as to what goes in the different bins and may not recognise the rationale behind the reasons. I feel that it is usually the BROWN bin that may not be emptied and when I go around the ward and see brown bins that not have been collected I try to have a quick peek to see why. I always find the reasons shown on the hanger (which details why the bin has not been emptied) is correct. 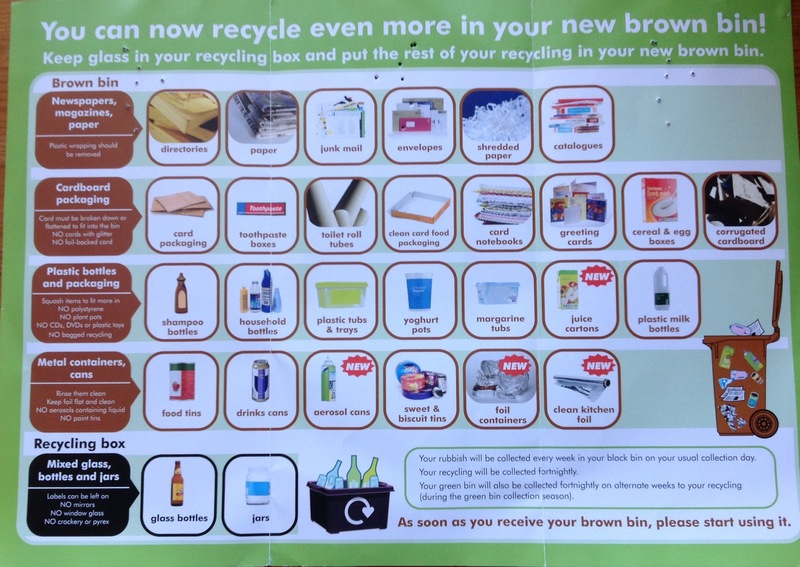 It may therefore be useful to specify what should not go in the brown bin. One regular reason, and one that I continually have a go at my grown up kids for, is cellophane attached to cardboard containers. We must get used to removing these from the cardboard packaging and place the cellophane in the black bin. I know it’s a pain but the prime reason for doing this is to make sure the quality of paper is of sufficient standard to get any revenue for the material we can expect. Any contamination may mean defaults in payments and fees. This is one of the reasons why Solihull does not collect glass with the other items; any smashed glass will render the quality of paper pretty worthless and therefore incur an economic cost to the council. West Midlands Combined Authority – to be or not to be?